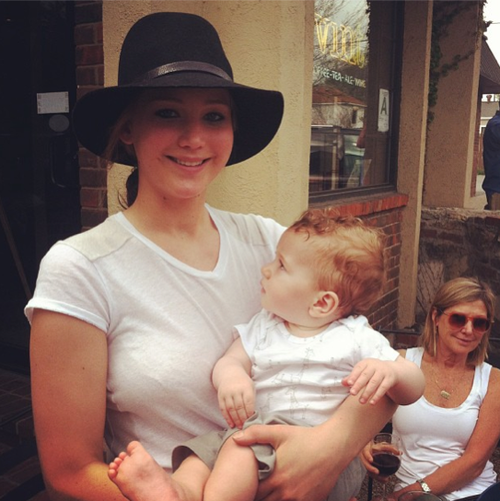 Jennifer was at Vint’s Coffe Shop in Louisville, Kentucky yesterday. . Wallpaper and background images in the Jennifer Lawrence club tagged: jennifer lawrence actress jennifer lawrence 2013 candids the hunger games baby. 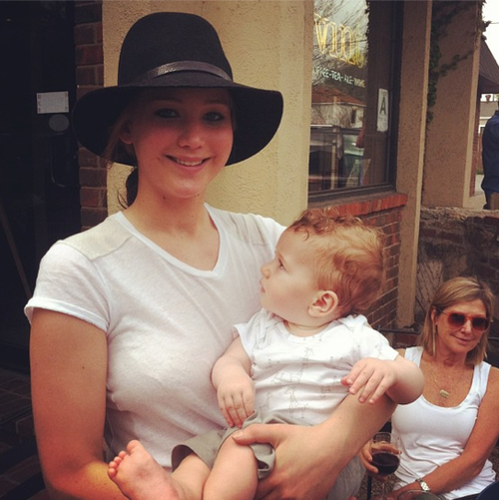 This Jennifer Lawrence photo contains fedora, felt hat, homburg, stetson, trilby, campaign hat, and snap brim hat. There might also be neonate, newborn, newborn infant, newborn baby, pith hat, pith helmet, sun helmet, topee, and topi.